Today is National cream tea day! A fact which I’m extremely happy about because, let’s face it, WHO doesn’t like a scone topped with jam and clotted cream, washed down with a cup of tea. They’re certainly one of my favourite treats as they remind me of summer holidays, strawberries and sunshine. Now a gluten free scone is a pretty hard thing to come by. 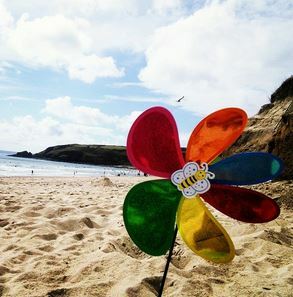 Last year we went for a week camping in Cornwall (which was lovely! 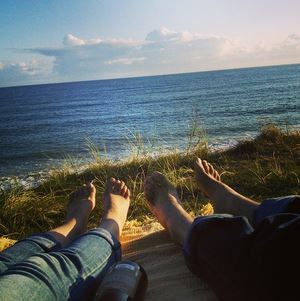 Here is a picture of my feet enjoying the Cornish sunshine). We spent quite a lot of time going from place to place trying to find a proper Cornish GF cream tea. I did, in the end, find one in The Tearoom in St Ives (I can report that it was yum!). Despite my excitement about having a cream tea and my mammoth love of scones this was a recipe that didn’t quite work as planned (but was tasty anyway so thought I’d still post it). My inspiration for this recipe was from here, they were supposed to be scones in the shape of scones, but the mixture ended up too wet and I had to improvise. The comments under the recipe suggested dividing the mixture up in a greased muffin tin and I only had a cupcake tray, so I put them in that, baked them, and the cupcake shaped scone was born. They are slightly smaller that you’re average scone so you may need to eat more of them. Mix the flour and baking powder and sift in to a bowl. Cut the butter in to small pieces, rub into the flour, and then mix in the sugar. Beat together the egg and milk. Pour this into the flour mixture and mix until smooth. (This is the point where I realised my mixture was a little wet. Scoop the mixture in to a greased cupcake tray. Brush some milk over the top of each and sprinkle over some granulated sugar. Bake in the centre of the oven for 15-18 minutes, or until they are a light-golden colour. Remove from the oven and put the scones on to a wire rack to cool. 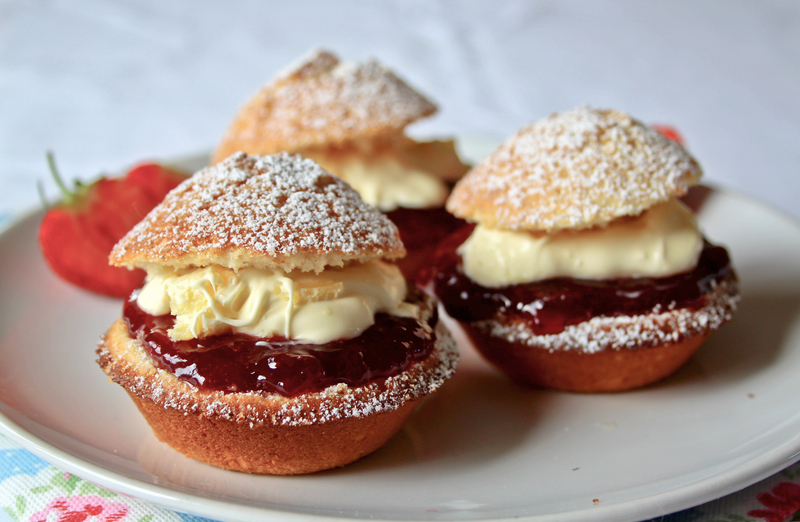 Serve the scones with jam and clotted cream. My mouth is watering now… These look lovely. Oh I love these. I have them dairy free also.